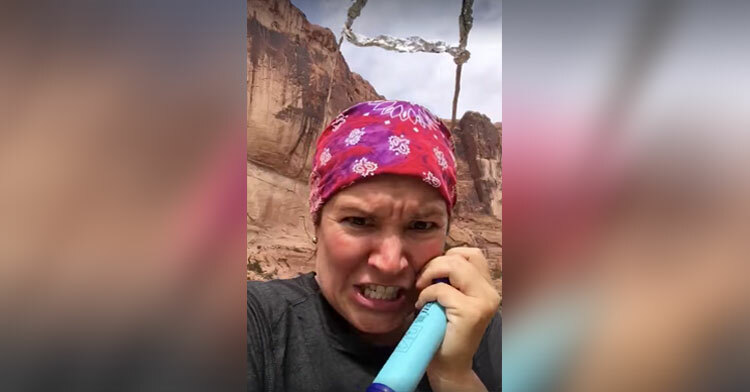 Reporter Delivers Hysterical Product Review From Bottom Of Utah Canyon. It can’t be easy keeping a straight face when your job involves reviewing dime-store trinkets or stuff you’ll only see on late-night TV. But that’s part of the job for WBTV’s Kristen Hampton, who hosts the station’s Good News segment. It’s no wonder that her ridiculous product reviews are a hit, but the fact that she’s able to keep a straight face while reviewing things like a set of massive lips “guaranteed” to slim your face, or a pair of stamp-on eyebrows to give you full, bushy brows, is a true testament to her skills as a reporter. 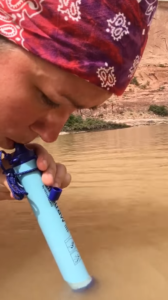 During her most recent review, though, she had to take a different tack because LifeStraw is a legitimate — and quite awesome — brand. The lightweight, portable device filters all those nasty micro-organisms out of rivers and streams, meaning hikers can toss their iodine tablets and stop boiling water over their campfires. But that’s not the coolest part: According to LifeStraw’s website, the charitable arm of the company has provided clean drinking water to more than 1 million students and delivered more than 10,000 “straws” to residents in underprivileged countries. 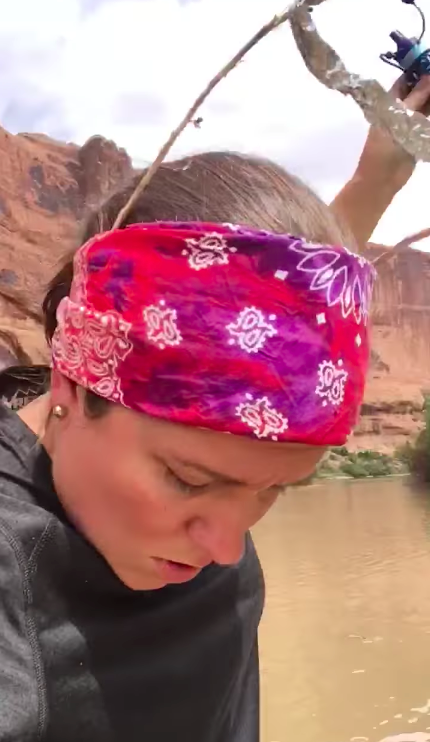 Having access to clean water is a serious issue, of course, but c’mon, this is a Kristen Hampton product review, and our crack reporter is apparently way out of her element deep in a canyon in Moab, Utah. That alone provides plenty of fodder for a laughable segment. 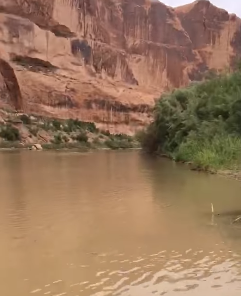 With tiny fish nibbling on her toes, she plucks her way into the river, chanting self-affirmations along the way. 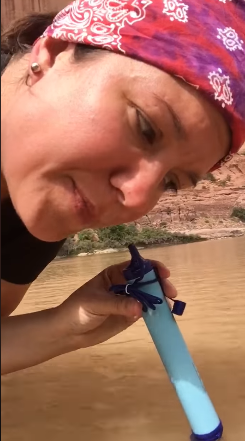 Before she dunks her trusty LifeStraw into the muddy waters, she pauses to address her viewers. 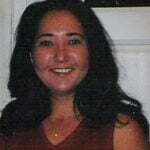 This, she assures them, is not the end of the rope. “You’d think it would taste like river or something gross, but it doesn’t, it tastes like – DON’T TOUCH ME! – it tastes like clean water,” she continues, after scolding the fish, adding, “So there, I did it,” as though the newsroom back home has taken up bets on whether she’ll actually go through with it. 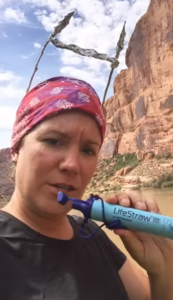 After all that, LifeStraw gots Kristen Hampton’s five-star seal of approval! Watch her full hilarious review in the video below, and share to spread the laughs and the word about this innovative product.